POC are able to provide security systems run from 100% renewable energy. 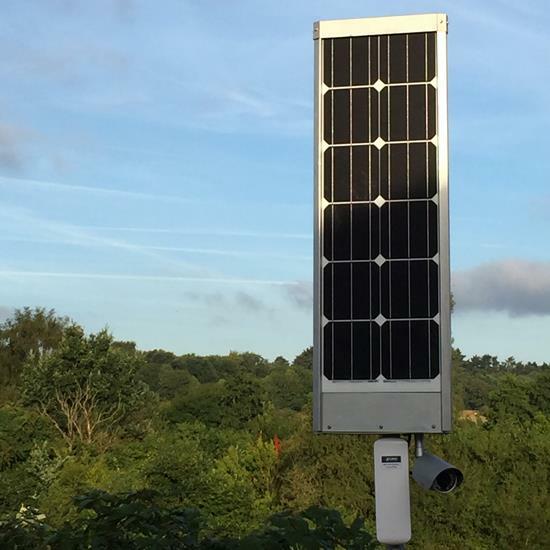 Our solar solutions are ideal for sites where their location has no access to a mains power source and where noise restrictions prohibit the use of generators. We have worked closely with one of the world’s most innovative solar companies to develop systems suitable for all environments, while maintaining a cost-effective technical security model. Our stand-alone systems still maintain all of the properties of our conventional systems, including remote access and analytic properties, ensuring your site has optimum coverage and the system has full functionality. Each environment is different and we will work with you to design the most effective system to meet your requirements.